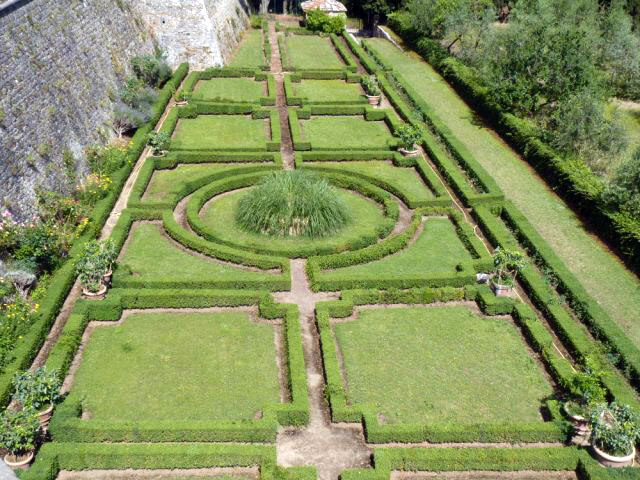 The stone Brolio Castle with a pentagonal plan became a noble residence after the baron Bettino Ricasoli commissioned architect Marchetti to redesign the castle in the style of the Gothic Revival (inspired by British precedents) in 1835. 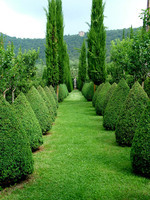 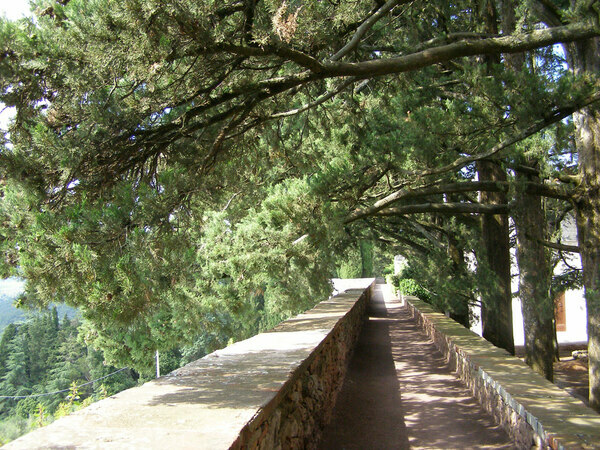 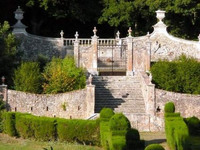 The Brolio Garden has a sixteenth century renaissance section with box parterres and a nineteenth century romantic/gardenesque section, laid out by the botanical enthusiast. 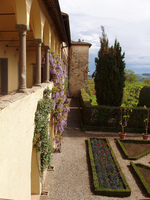 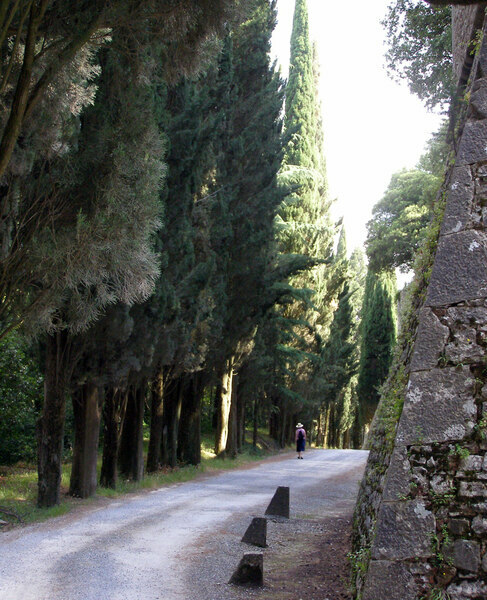 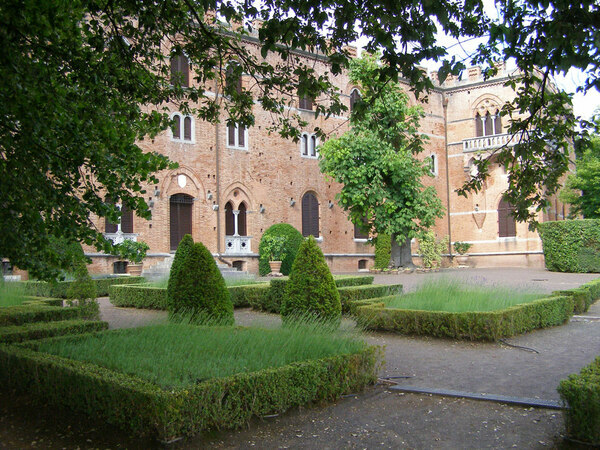 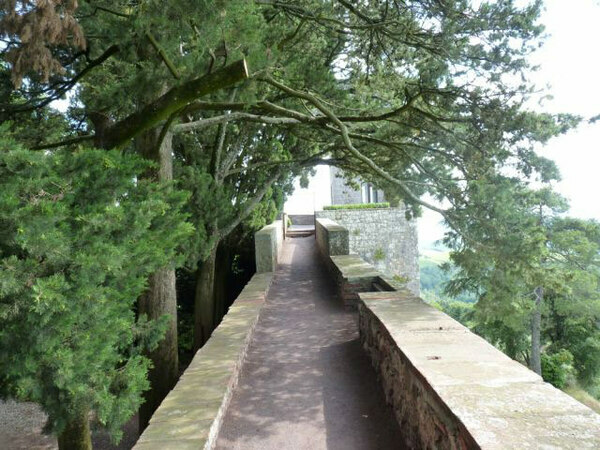 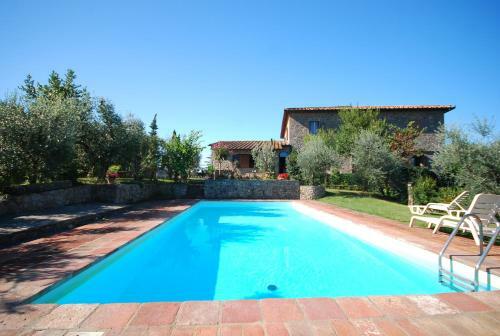 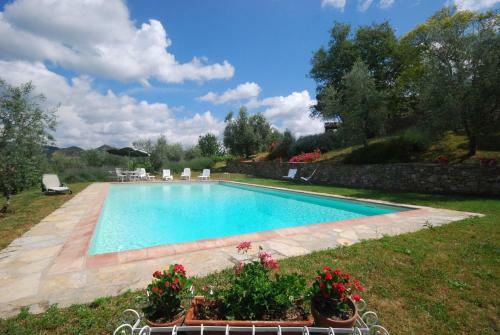 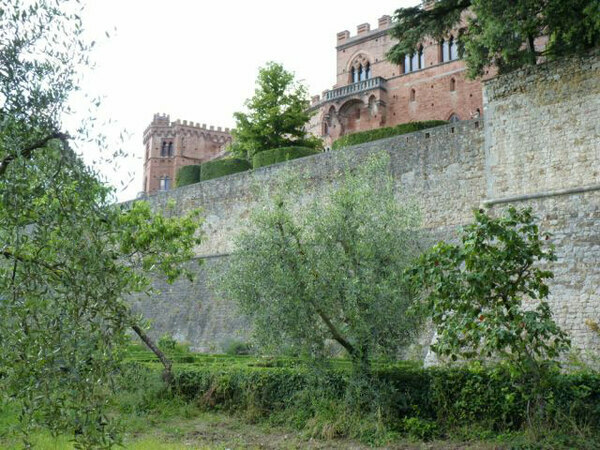 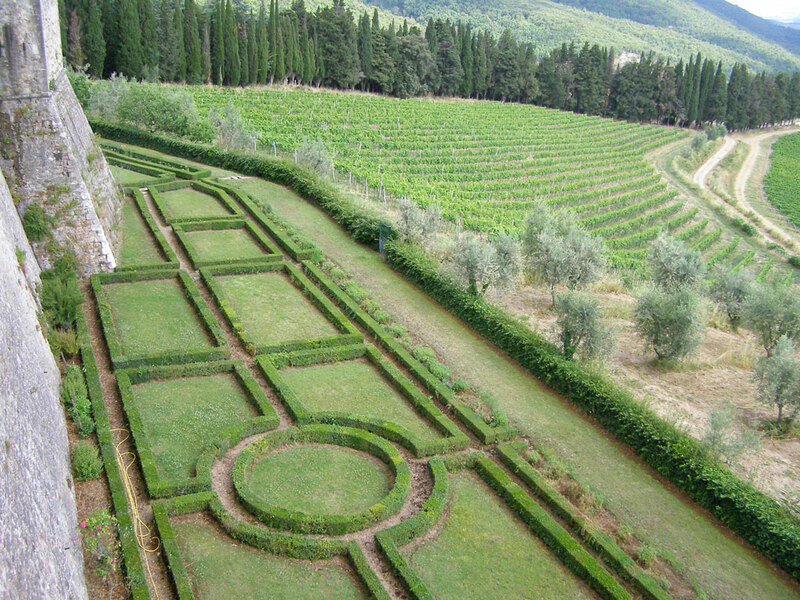 The Brolio Castle, Garden and estate are famous for producing the Ricasoli Chianti wine - the Longobard term "brolo", referres to an orchard or enclosed garden.